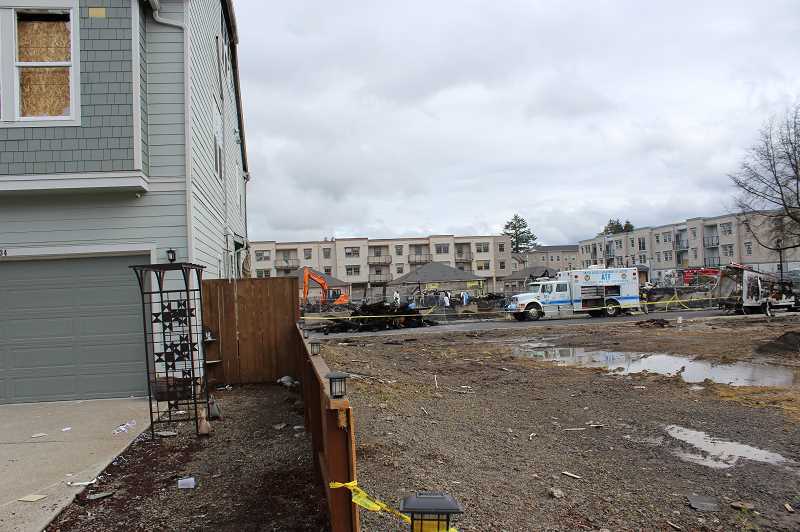 Wilsonville Councilor Ben West said in an interview that even before the massive fire that destroyed or damaged many homes in the community, he heard almost daily from Villebois residents who are frustrated with the density and congestion in the planned community. So when Villebois residents filed into Wilsonville City Council chambers Monday, April 1, to hear an update about the fire that left the community reeling and to express appreciation for the firefighters who saved lives and homes and the solidarity of the Villebois community, a handful of them voiced their indignation about City planning. The crowd greeted their testimonies with applause. "As a family member, a mom, a wife, a neighbor, it really takes away me wanting to stay there (in Villebois), and I've heard so many others in real estate saying what's happening is affecting and is going to affect the prices of all the homes in the area," said resident Carrie Hanson at the meeting, citing the large buildings, narrow streets, lack of coffee shops and estate homes. "Residents feel our voices are being ignored," resident Cara Renfroe said. Villebois features a diverse mix of townhouses, condominiums, apartments and single family homes. Those who testified criticized the community's density and its proposed tax abatement program to incentivize development in the Villebois Village Center, and they complained that neighborhood streets are often crowded with cars. "Everyone seems to really enjoy their lives, and we're so happy we get to raise our kids in such a wonderful place," resident Patrick Rectenwald said. "Though there must be a point in time where it becomes a finished product." Some community members claimed that fire trucks struggled to make their way through the Villebois community the night of the fire due to the proliferation of cars regularly parked on neighborhood streets. Incoming Tualatin Valley Fire and Rescue Chief Deric Weiss, though, refuted the claim that the fire trucks were impeded. "I hear a lot of pain and there was a lot of loss with this. ... I can only speak to what I know. I have heard zero reports of any issues with access or egress for any of the fire engines or trucks that responded to the fire in Villebois on March 31," he said. Click here to read the full version of this story first published by the Wilsonville Spokesman.